Absolutely beautiful new doll made in Spain and dressed for fun outdoors in the sunshine. 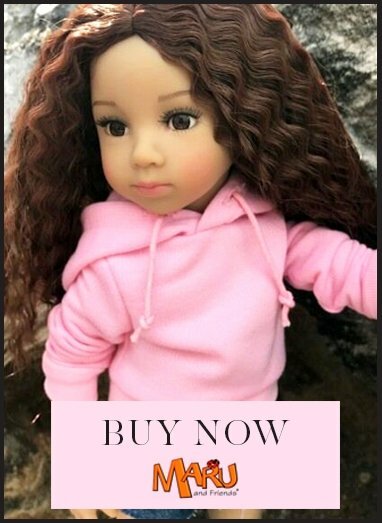 This doll is a pretty doll is pretty to give as a gift or to enjoy yourself. With lots of fashionable clothes available for Carlota she's never stuck for what to wear. It makes it possible to add little extras during the year to enliven play. PLEASE ORDER WITH CARE AND ATTENTION - THIS DOLL IS 11" / 28CM TALL CE tested for children age 3+ Vestida de Azul blonde doll wearing a motorbike embroidered top and floral shorts.